Please join IPM for an important event, Investing in Innovation: The Payoff for Women’s Sexual and Reproductive Health, on the eve of the UN’s Sustainable Development Summit to adopt the new set of Sustainable Development Goals. Our aim is to highlight the many benefits to be gained from investing in innovative solutions to improve the sexual and reproductive health and rights (SRHR) of women and girls. We hope you will join us on September 24 to shine a spotlight on the importance of investing in innovation for women. 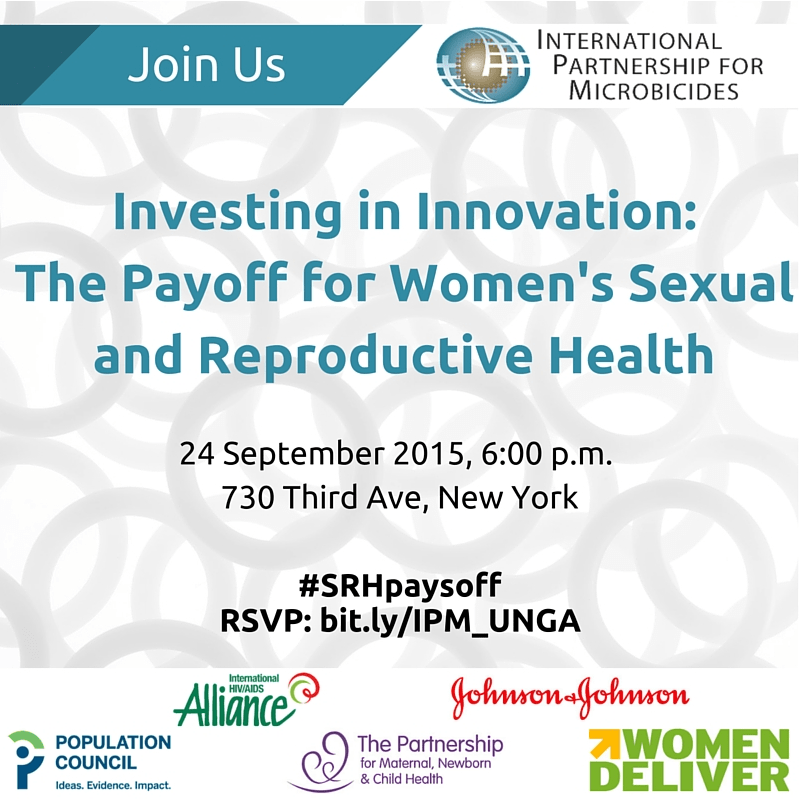 Please RSVP to attend in person, and follow us on Twitter at @IPMicrobicides and #SRHpaysoff as we live tweet the event. See you there!